Wow, it’s been over three weeks and I am still having difficulty processing this incredible summer. Throughout the 10 weeks of interning at Roots, I have met the most inspiring people, learned tremendously, and contributed to an organization I believe is making real strides towards peace in the land. I have increased my knowledge, humility, faith, hope, and passion. One of my many goals for this summer was to determine if non-profit work in a peace-building organization in the region was something that I might like to pursue as an eventual career. While I still have not decided in which direction I would like to head professionally, I am still strongly considering the non-profit world, perhaps even more than I was before. What is definite is that this experience strengthened my resolve to work toward peace between Israelis and Palestinians through dialogue, activity, and action, in order to improve lives on both sides. 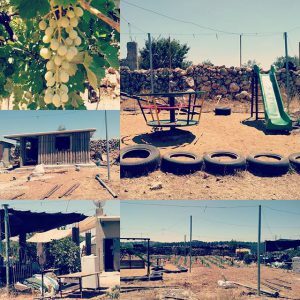 I believe that this grassroots work can only truly take hold on a local level, so my desire to move to Israel after graduation has been strengthened as a result of this experience. In this blog post, we were asked to talk about what we are proud of accomplishing this summer. I am most proud of not being afraid to go to new places, often thought of as “dangerous” by various communities, and to talk to people with backgrounds and opinions very different from my own. I am proud of myself for having an open mind, for asking questions, and for seeking to learn as much as I could. I am glad that I took risks and jumped into unknown situations – including the internship itself! If I were to give advice to someone thinking about going into this field or interning for this organization, I would give them the same advice I received: be proactive and make the most of your time. Be flexible and ready for anything. Most of all, don’t be afraid to put yourself in new situations, talk to people, ask questions, and share your own ideas. Being the only intern can be very lonely, but you also have the opportunity to have a real impact on a small young organization – and that is priceless. I realized that I join organizations like Roots and bVIEW (Brandeis Visions for Israel in and Evolving World), which have no specific political agenda, because I myself do not have a specific political solution in mind for this conflict. What I do believe, however, is that no political solution can achieve peace while we are all arguing with each other. Dialogue, mutual action, and a transformation of perceptions of the other must precede, coincide with, and continue after a political solution is enacted. At Roots, I sat with a group of Palestinians and Israelis (settlers, no less! ), of different ages and backgrounds, as we went around the circle, articulating which political visions we support. With unbelievable calm and respect, every individual gave a different answer – almost half of them including the words “I don’t know.” This was quite a departure from the usual Israel/Palestine conversation on campus, wherein individuals enter conversations with set opinions and perceived facts. I learned from this summer how important it is to be okay with not knowing all the answers, to be open to discussion and changing perceptions, and to working with people you disagree with to resolve conflict. If Israelis and Palestinians living in the Gush Etzion area and from Bethlehem to Hebron can do it, surely we students at Brandeis can too. WOW (pun intended), a lot has happened since I last posted here! 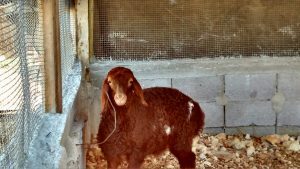 Members of the Roots team and volunteers built a new animal pen and bought a goat, built a temporary new kitchen which will hopefully one day become a guesthouse, and are in the process of building a bigger kitchen with an office space above it. We also held five interfaith break-fasts during Ramadan, a leadership training retreat for core activists, photography workshops for children, photography workshops for women, educational youth trips, history lectures, and many meetings and information sessions to spread the word about this exciting work and create communal paradigm shifts in how each side sees the other. Our newest member of the Roots team! For my part, firstly, I finally got the cameras out of customs! I also have delved into the world of PR, developing the Friends of Roots Facebook Page and taking over the website as well. I have helped advertise events and send follow up emails to attendees. I am also responsible for recording donation information and sending thank-you emails to donors. It may not sound like a lot, but it is certainly filling up my time! The work is not glamorous, but I am very happy and feel quite fortunate to be able to help out an organization and people that I admire with the things they don’t have time for, so that they can take care of the rest of what needs to get done. Additionally, I am feeling more and more like part of the team and feel comfortable sharing my thoughts and ideas with the leadership. In addition to my work at Roots, I have taken advantage of my time here by participating in an Encounter trip to Bethlehem, an emotional movie screening with Combatants for Peace, a prayer service with Women of the Wall, and few classes at the Shalom Hartman Institute and the Pardes Institute of Jewish Studies, and other events. I also hope to join part of the Elijah Interfaith Institute’s summer school next week. As a result of this internship, I am learning a lot about the ins and outs of establishing a young organization. I am also learning how to use public relations methodologies, how to run a website, and how to use Salesforce. I am learning about the use of art in resolving conflicts and brainstorming ideas – through the Roots photography classes and sessions on the leadership retreat. 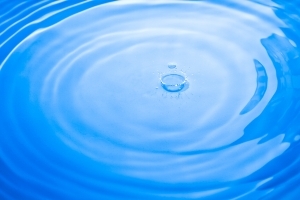 Most of all, I am learning that creating change is a process – sometimes a slow process – that can be effectuated through one person at a time. These skills that I am developing will certainly be transferable back to Brandeis and my eventual career. The patience I am learning in effectuating change is crucial in maintaining hope for the vision of this social justice internship and cause. I know that we cannot fix the world in one day, but the more individuals we reach, the stronger our message will be in order to influence our communities, our leaders, and society at large. 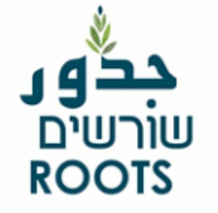 Roots (also known as שורשים or جدور) is a joint Israeli-Palestinian initiative aimed at building a grassroots movement of understanding, nonviolence, and transformation among Palestinians and Israelis through projects such as dialogue groups, photography workshops, interfaith exchanges, and children’s activities. Roots is based in the Gush Etzion/Bethlehem region, in the West Bank, on a plot of land that is owned by the Abu Awwad family and lovingly referred to as “the field.” Instead of a formal office space, the administrators of the organization, along with a network of volunteer activists, mostly work from their homes, while holding meetings and events at “the field.” This plot of land includes a room lined with beds, a small kitchen, an outdoor area with couches and plastic chairs, a greenhouse, and a freshly planted field with a small playground. Roots was founded on the basis of “dignity, trust and a mutual recognition and respect for both people’s historic belonging to the entire Land.” Their mission is to build a grassroots model for co-existence through non-violent means, believing that this can affect larger change in the Israeli-Palestinian conflict. This young organization has managed to reach nearly 13,000 people in their productive two years of existence. The intern position at Roots is an informal role, so my schedule and tasks vary tremendously. As someone who is passionate about the work Roots is doing, but is not yet a member of either community, I see myself as a helping hand, assisting whomever I can however I can. For example, my first major task was to navigate Israeli bureaucracy in order to get twenty cameras out of customs for a women’s photography workshop Roots is running in a few weeks. While this was not a task I was expecting to undertake, it was definitely a learning experience nonetheless. Aside from the cameras, I have been tasked with setting up a Facebook page for Roots’ international supporters, learning how to use Salesforce and enter donations data, organizing a meeting between an Israeli and a Palestinian who are each interested in running interfaith gatherings through Roots, helping with shopping for an interfaith iftar (break-fast during Ramadan), and other miscellaneous responsibilities. 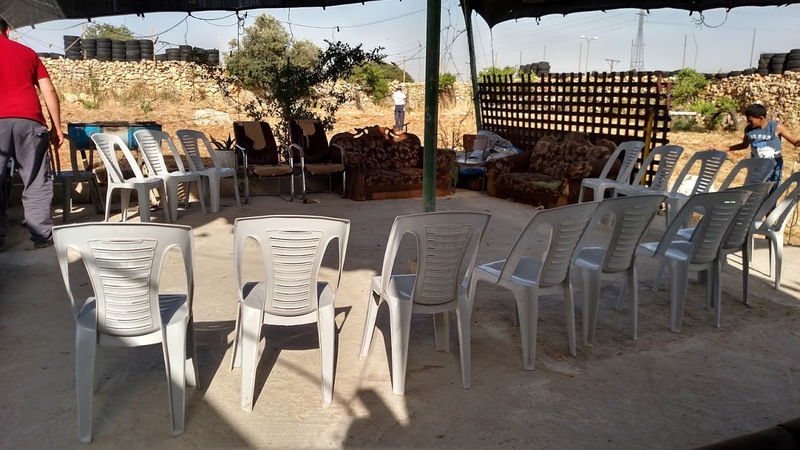 One of my goals for this summer is to gain insight into an Israeli/Palestinian non-profit, observing how grassroots peace organizations are built from the bottom-up. In the short time I have spent with the organization, I have already learned a great deal about the details and discussions that go on behind-the-scenes. Through my attendance at meetings of the leadership and the volunteer activists, I have already seen how much deliberation goes on about every decision – both regarding logistics and ideology. Another goal that I have already begun to work on is my language skills. During meetings and events and just sitting around the field schmoozing, there is almost always a mix of English, Hebrew, and Arabic. I have sat through entire meetings in Hebrew, and while I don’t understand everything 100%, I am sure that my Hebrew is improving already. Additionally, I have begun to talk to Palestinians in Arabic and attempt to adjust to their dialect. While my Arabic is barely conversational, I have already received appreciation for trying to talk to others in their mother tongue. I look forward to learning more, to doing more, and to becoming more inspired by these selfless individuals who care so much about their work every day. It is bittersweet to be leaving Project Harmony Israel, to be leaving Jerusalem, the children and staff I have come to know, this country. In many ways I have met my summer internship goals of developing language proficiency in Hebrew, developing my leadership and conflict resolution skills within a work setting, and making memories/forming personal relationships with those who are different from me and learn how to allow that alternative perspective to enlighten my own. However, meeting these goals came in largely different forms than I expected, and some of them evolved because of that. For instance, developing language proficiency in Hebrew became more centered on becoming proficient in certain conversational settings regarding art and food as well as a proficiency in deeper understanding the politics of language in Jerusalem. So, while I did not become more proficient in my Hebrew at large, I became very good at buying groceries, haggling for bargains, naming colors and explaining art projects, and most importantly I became aware of the politics of language (Arabic v. English v. Hebrew) in Jerusalem. Developing my leadership and conflict resolution skills within a work setting came from taking on an authoritarian position, delegating tasks, and creating a cohesive vision and then following through with it even when schedules had to be re-arranged and staffing changed. Part of developing my leadership and solving conflicts in the classroom also meant learning to strike a balance between having fun and maintaining clear boundaries. This balanced allowed for natural memory making because I was more focused on forming personal relationships rather than constantly having to prove my authority. 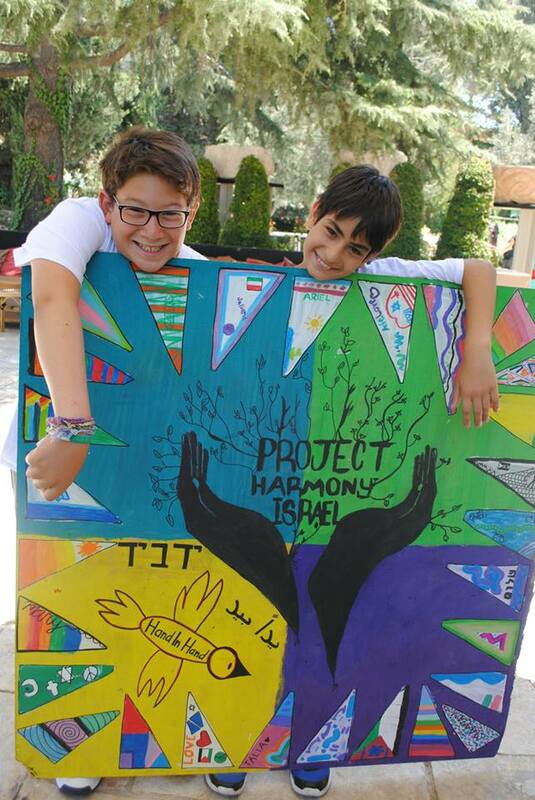 Making memories and creating bonds with my campers and some volunteers for Project Harmony gave me a lot to think about regarding Palestinian rights, identity politics, and the need for A-political (or normalized) environments as complimentary spaces for youth in Israel. I learned from my conversations with campers as young as 10 and as old as 15 that contact is the first step towards recognition, which is the way towards relationships and, ultimately, respect. 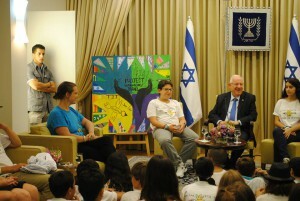 Project Harmony Israel’s Identity Flag sits behind Israel’s President Ruvi Rivlin at a press conference. My internship with Project Harmony Israel has undoubtedly solidified my interest in working in Israel and for the betterment of the state through person-to-person interactions. I think it has also given me a deeper understanding of where my observational skills, leadership skills, and cross-cultural curiosity are best utilized. I certainly learned that I am more flexible than I imagined, that I can manage my time well and think of projects at the last minute, and that I am capable of both working alone and as a team to build a positive educational environment for both Jews and Arabs. I think this ties into what I am most proud of looking back on my work. I am so so proud of the children I came to know and the space I created with them. Together, we completed over ten projects, including an identity flag mural that was presented to Israel’s President Ruvi Rivlin. 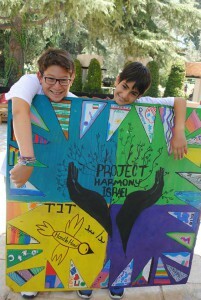 Campers Yarden and Basel carry the mural into President Revlon’s home. “How is it that my kids don’t like Arabs? I’ve always taught them that we are all equal, but somehow my 11 year old thinks all Arabs are bad – how does that happen? This is a community that gives to each other and I am so proud and grateful to have been and to continue to be a part of its work. 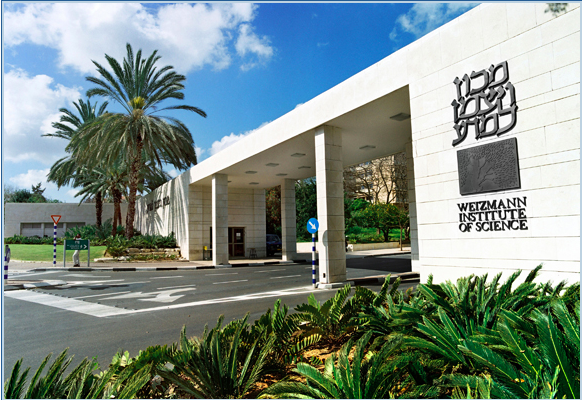 The Weizmann Institute of Science is one of the world’s leading multidisciplinary research centers. The Institute’s mission is to educate young scientists by integrating them into the research world. Their Feinberg Graduate School hosts approximately 1,000 graduate students each year from around the world. The Institute’s labs are wide ranging in the sciences, with scientists working on projects including combating heart disease, cancer, and world hunger. The Institute also conducts programs for elementary and high school students to work alongside scientists and learn about science careers. The Weizmann Institute of Science fosters creative collaboration, intellectual curiosity, and equal opportunities in scientific research. 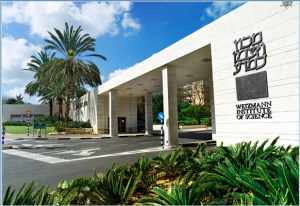 During my summer internship at the Weizmann Institute of Science, I will work in the Segal Neuroscience Laboratory, alongside Dr. Menahem Segal as well as his graduate students and postdoctoral fellows. The work in Dr. Segal’s laboratory is focused on the neuronal basis of long-term memory in the brain. This work relates to investigating decay of memory systems in the brain, such as Alzheimer’s Disease and mental retardation. I will assist with several studies investigating the cellular basis of neural plasticity. I will use live imaging of cultured neurons in a confocal microscope, transfect various plasmids into neurons and test the effects on cell morphology. I will help assess the results of the studies using various imaging and analysis methods. 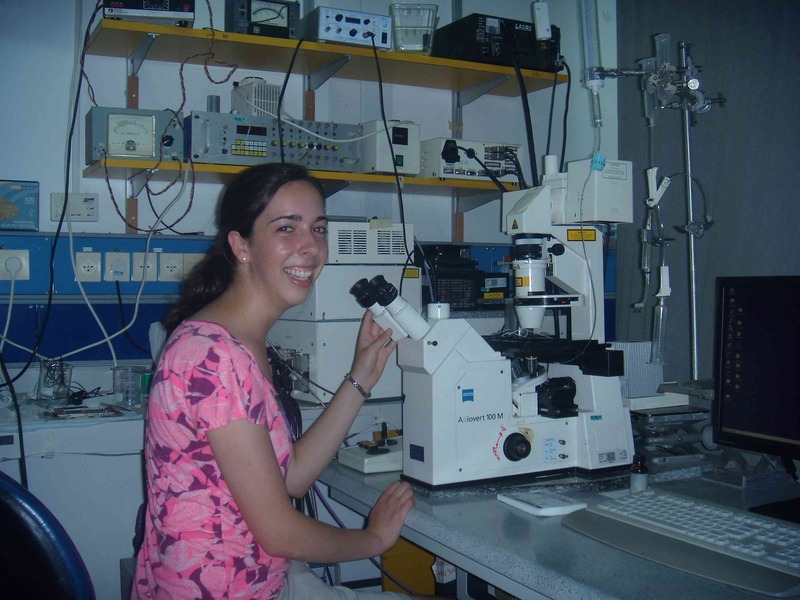 During my first week, I learned to use the confocal microscope in order to assess neuronal firing patterns. This microscope has a tiny laser that continually scans the cultured neurons, so I can watch neurons firing in real-time. Once I became acquainted with the microscope and its accompanying computer system, Dr. Segal set me up with Dr. Fisher, a visiting professor, to begin tests on a drug that could be used to reverse the causes of Alzheimer’s Disease. Dr. Fisher believes his drug can target amyloid plaques, tau hyperphosphrylation, and mitochondrial death. Check out this great video to understand how these cause Alzheimer’s Disease: https://www.youtube.com/watch?v=NjgBnx1jVIU. We apply the drug to hippocampus neurons from mice, and observe any changes in firing patterns. Each time the neurons on the screen light up, Dr. Fisher and I jump in our seats, excited to witness this amazing molecular event. With so much unknown about the workings of the brain, it is incredible to be able to watch the most basic principle of the nervous system at work. An abstract summarizing Dr. Fisher’s can be found here: http://www.ncbi.nlm.nih.gov/pubmed/15989509. Dr. Fisher has developed hundreds of drugs in his career, with one currently in use for treatment of Sjögren’s syndrome. While working with the confocal microscope one day, I asked him about the process of designing a drug, testing it in laboratories, and eventually bringing it into clinical trials. Though lab research can often seem like a tedious endeavor, following a drug from discovery of its molecular mechanisms through clinical success must be an incredible experience. My goal this summer is to have an active role in the Segal laboratory and find a way to make a difference in these experiments, ultimately improving quality of life for people with Alzeimer’s disease. 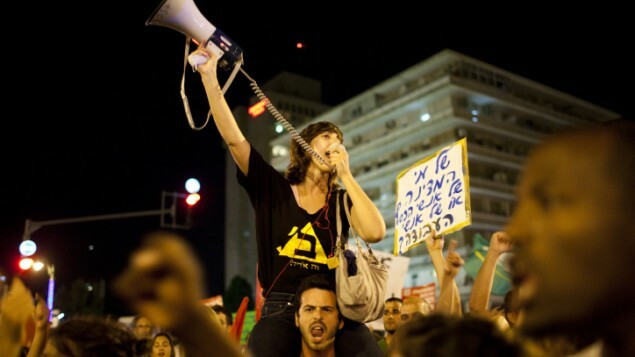 My mid-point was a time of a turbulent renewal of the social justice protest movement that began in the summer of 2011. At this time, marches calling for social change, specifically for a socially-conscious governmental budget, were organized and highly attended. At Shatil and on the street, there was a feeling of anticipation for another summer of social action. I personally felt excited for Israel and the potential for change, and also about being so involved in the social justice world at a time of change and action. Reading organization-wide conversations about the movement participating in Shatil conferences at the Knesset made me feel meaningfully involved. 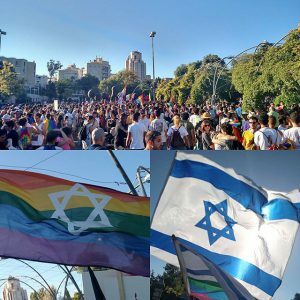 I felt more than just the high of marching in a protest, I had the feeling of being part of something greater, that had large impact on Israeli society. Shatil’s work with a variety of organizations, truly enables it to have strength in numbers and make meaningful contributions on a range of issues. One of my learning goals this summer was to learn about the spectrum of civil society organizations and movements in Israel. Through the emails, and renewal of the social justice protest movement, I was able to learn about a range of civil society actors and organizations. Beyond this, I began a new assignment to write short examples of work Shatil has done with various organizations. Through this task I was able to talk both with Shatil consultants and leaders of organizations about the work Shatil and the various organizations do. One of the skills that I am building right now is writing skills. Many of my responsibilities include writing, either writing for the newsletter (check out this week’s newsletter here) and writing reports for donors. Because of this, my writing abilities have greatly improved. Another skill I have improved is communication. Many of my responsibilities, including writing for the newsletter, updating a volunteer database (check out the database here) and writing case study examples, forced me to call and talk with a range of people. This has helped improve both my language skills, as most of the conversations were in Hebrew, and my communication skills. A skill that I have gained is translation. There have been a few opportunities for me to translate documents from Hebrew into English, which I have enjoyed greatly. Through this I discovered my own gratification from doing translations. These skills are skills that I hope to bring with me to whatever my future job will be. I am most proud of participating in a Facilitative Leadership seminar. The two-day seminar was taught entirely in Hebrew (although I was also given English materials), and I am very happy that I was able to follow, participate and learn from the seminar. The seminar included the seven practices of facilitative leadership, below. I have officially begun the countdown until I leave Israel, and although I will miss it dearly, I look forward to returning back to Brandeis. My most important learning goal this summer was to strengthen my skills in research, specifically clinical research. I was able to do this by contributing to two literature reviews on preventive interventions for dealing with violence and trauma. With the goal of eventually working toward my Ph.D. in Clinical Psychology, gaining this experience was crucial for my career development, and went much beyond my previous experience. I surpassed my original expectations because instead of doing one literature review, I ended up working on two. I was also given the opportunity to help out with a study on designing an intervention for building resilience for at-risk youth, the latter being one of the populations I eventually want to focus on as a psychologist. This has given me insight into cultures other than America and Israel, which was not exactly one of my original learning goals but nevertheless appreciated. I am also learning more about evaluating the work of other psychologists, by observing my mentors here in real-time. The work I have done at the Israel Center for the Treatment of Psychotrauma this summer will fuel the rest of my time at Brandeis. Specifically, it will put me in “research mode” as preparation for my Honor’s Thesis. It will also inform my academic work as I take courses in the areas I have researched this summer. There is still a lot left to learn before I am prepared for the next step in my career. I want to gain more experience in research, which I will be able to do with my Honor’s Thesis this year; I also want do get more hands-on work with a clinical population, especially children, adolescents, first responders, and others affected by trauma. Whether working at a medical facility or with children in general, I know that to truly engage myself in this field, I must engage it at all levels, not just research. For anyone interested in interning at the Israel Center for the Treatment of Psychotrauma, I commend you for your decision to volunteer, and think you will have a blast. The Center does, however, get very busy with many projects. I would therefore advise interested students to research the Center’s work first, which can be viewed here. Once there, see if there is any program or type of work (i.e. research) that most interests you. Then contact one of the psychologists, someone in public affairs, or send them an e-mail. (Contact page located here). Keep trying if you do not hear back at first. And before you reach out, also think about one main project you can focus on. Every volunteer is required to contribute sometime to PR, but the rest can be decided by you and the staff members. While at the Center, I would definitely try to check out the various “Units” of the Center. You will learn not only about trauma and resilience, but all the different ways one can contribute through research, programs, therapy, marketing, and more. Shalom from Jerusalem! I am just about to finish my first week of interning for the Jewish Eco Seminars and so far it has been a fantastic experience! The Jewish Eco Seminars engages the Jewish community by educating people about the powerful outcomes of combining ecological innovation, Jewish values, and modern Israel. 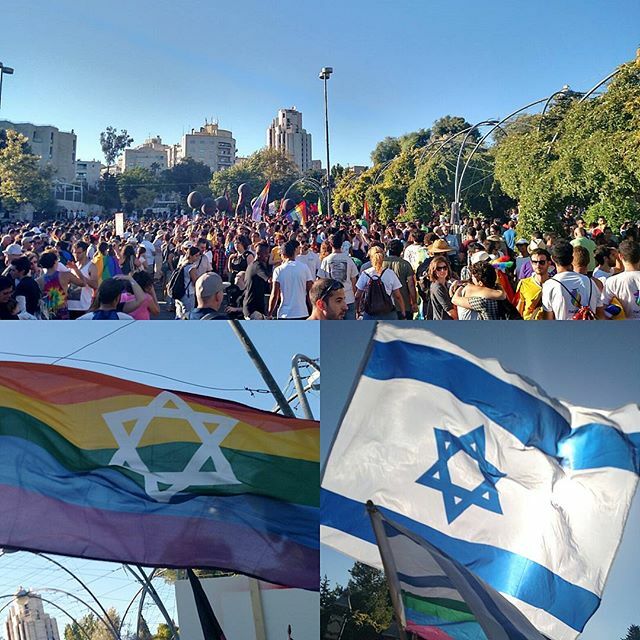 The organization reaches people in Israel, as well as North and South America. It is one of the branches of the Interfaith Center for Sustainable Development, which works to foster dialogue between the religious leaders and communities in Jerusalem on the topic of environmental issues. 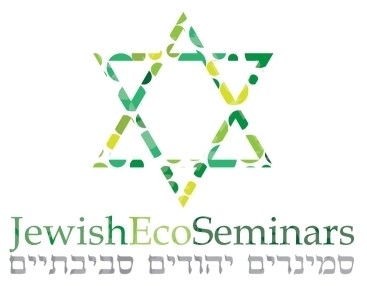 The Jewish Eco Seminars provides a great deal of opportunities and information. 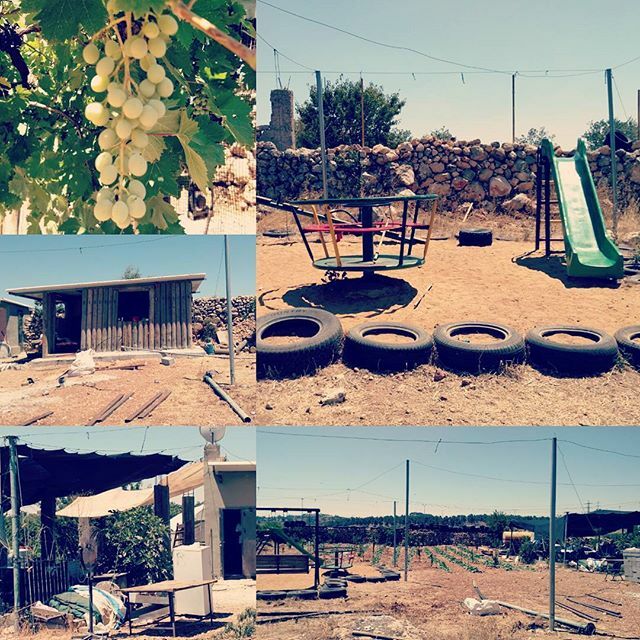 They offer many programs and trips ranging from exploring Israeli organic farming and learning about the country’s water problems to learning how to build with mud and much more! 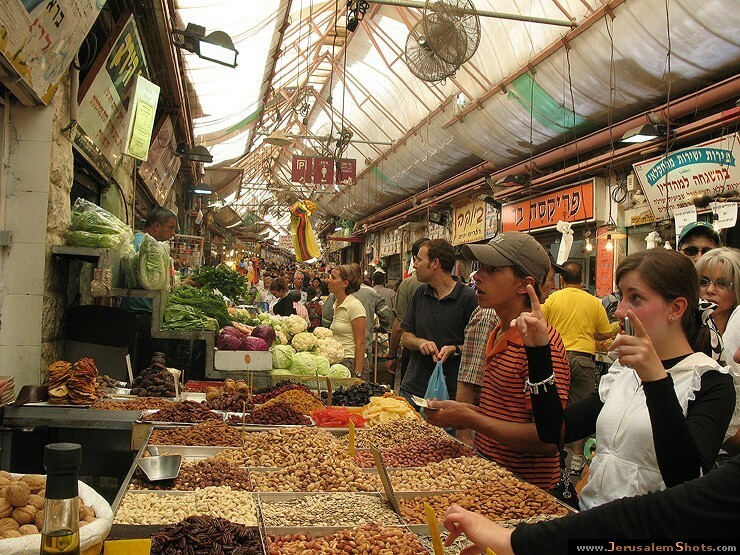 Jewish Eco Seminars is based out of a small office (converted apartment) in the Nachlaot neighborhood in Jerusalem – less than a 5 minute walk from the Machane Yehuda Shuk (open market – see photo)! Most of the work that I have been doing this week is inside the office, though, occasionally some of the work involves going out a bit. At the beginning of the week I was given the option of many possible tasks to work on. They ranged from publicity to research to video editing and more. I chose to spend my week focusing on fundraising because it was something that I’d never experienced before. This week I have been researching potential donors and providing my supervisor with information about them. I look for information such as where people and foundations already donate their money and what their interests are, and from this determine whether I think we may have a connection. Next, we get in touch with the groups who seem interesting and set up a time to meet with them. Before each meeting, we do more research on the group or person so that we will have a complete background knowledge of their previous actions in order to connect on a higher level and better understand them. I have learned so much just in this one week! Next week I plan on continuing some of the fundraising work and also exploring more projects! On a different note, two years ago, the Jewish Eco Seminars was founded by PresenTense, an organization that helps Jewish innovators to use “their ideas and energy to revitalize the established Jewish community.” I came across Jewish Eco Seminars while speaking with a friend who is involved with PresenTense. I emailed the director expressing interest in interning with them and after a meeting/interview we realized that we were a great match for each other. After college I hope to become a Jewish environmental educator so I quickly realized that this internship would be great for me to gain experience in my field! If this sounds interesting to you, feel free to like the Jewish Eco Seminars on facebook! In addition, I’d like to share with you a great video that the Interfaith Center for Sustainable Development released last week in conjunction with the Rio+20 UN Earth Summit. Click here to watch One Home! My first week in Israel brought with it a hot environment outside, but a warm one inside my internship site. The staff at the Israel Center for the Treatment of Psychotrauma are some of most humble, kind, and compassionate people I have ever met. And, being from Brandeis, this is saying a lot! The mission of the Israel Center for the Treatment of Psychotrauma is multifold. Besides offering direct treatment to survivors of trauma, they also implement programs to help individuals and communities build psychological resilience in the face of great trauma. Based in Jerusalem, Israel, the Center’s work extends across the globe. Within Israel, they work with an array of survivors, from survivors of terrorist attacks to medics and soldiers who served in elite combat units. Outside Israel, they help implement programs for children as well as adults survivors, including countries such as Haiti and the United States following Hurricane Katrina. On top of all this, a large part of what they do involves researching intervention strategies. As an intern at the Center, my primary responsibility is to assist with research in the Child & Adolescence Clinical Services Unit. I am working on my own research project as well as on a special YouTube video the Center is creating. In addition, I also assist with PR activities. The process of securing my internship was straightforward. I had worked at the Center before, and was still in touch with my former supervisor. After corresponding via e-mail for a few weeks, we worked out a plan for a main project and supplemental work I could do for this summer. After that, it was only a matter of staying focused on my goals and securing funding. Thanks to WOW, I am here now, doing exactly what I hoped to be doing. My first week involved very little turbulence. I struggled a bit with jet lag and had to fight to stay awake on at least one afternoon, however my passion for this type of work (and dousing my face with a little cold water) literally washed my fatigue away. Getting a grasp on my Hebrew has been challenging, but day by day I become more comfortable with the language. The summer has already proved to be an exciting one, and I am still only in its first stretches. I expect to increase my research experience this summer, but also to gain new experiences in combining media with psychology and meeting other volunteers at the Center. Also important, I hope to correspond with several people in the Center, and learn more about this type of profession, psychology in Israel, and what my career options are for the future.